"You know what? The circumstances and particulars of these characters don't matter at all, or certainly not as much as the questions raised" - Jonathan Abarbanel talking about Jen Silverman's THE ROOMMATE. 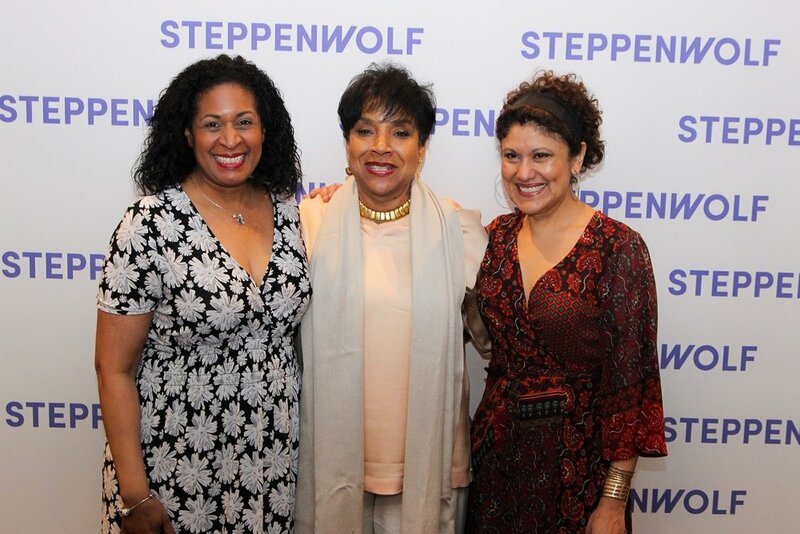 Left to Right: Steppenwolf ensemble member Ora Jones, director Phylicia Rashad, and ensemble member Sandra Marquez at opening night. Image courtesy of Steppenwolf.